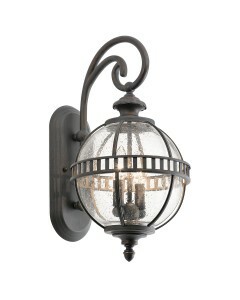 This is the Halleron 3 Light Outdoor Pedestal Lantern in Londonderry Finish. 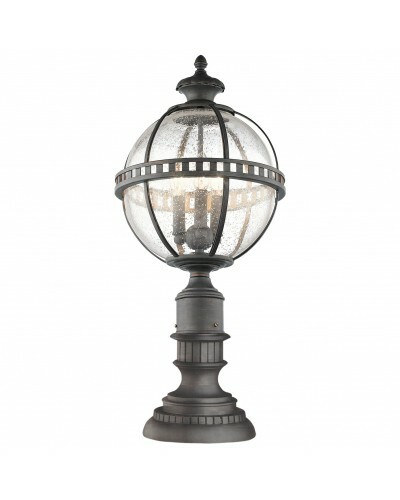 This lantern is inspired by the Victorian era and features a sturdy circular base with decorative design all in Londonderry bronze finish with a grey wash, holding a sphere shaped shade with seeded glass panels and three candle style lamps (bulbs not included). 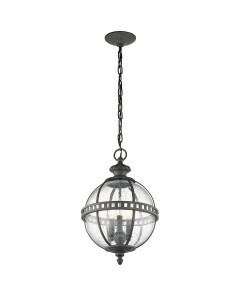 This clean traditional design has a unique shape and pattern which adds to the vintage style, making this a perfect fit for any outdoor space. All exterior fittings have an IP (Ingress Protection) rating which is a declaration of how much protection any product has against the ingress of both water and dust/particles. The minimum rating for an outdoor luminaire exposed to rain should be IP23. This outdoor pedestal is IP44 rated. 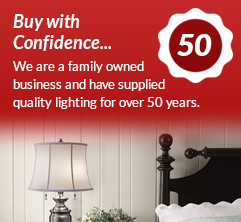 This light comes with a 3 year Anti-Corrosion Guarantee. 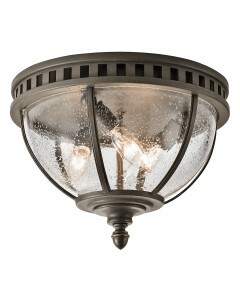 The guarantee relates to the corrosion of paintwork on cast aluminium lights, such as this one. This excludes locations within 5 miles of the coastline. 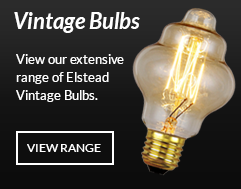 When installing all outdoor lights it is recommended to lightly grease all threaded parts and screws/nuts to ensure that fittings can easily be disassembled for cleaning or lamp replacement. Includes full installation instructions (please retain these together with the receipt for future reference). 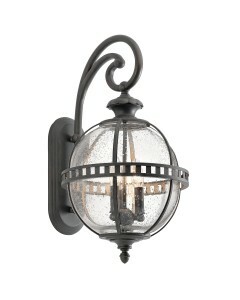 This outdoor lantern is designed in the U.S.A by Kichler, founded in Cleveland, Ohio in 1938. L.D. Kichler & Co. is a family run company held in high regard by their customers for their diversity of design and breadth of range, which includes some truly striking and often substantial pieces. Style to live by.